If you’re among the nearly 176 million women around the world living with endometriosis, you understand just how painful and debilitating the condition can be. 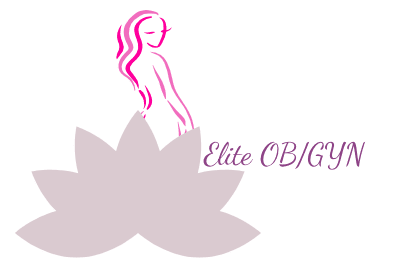 For women living in the greater Fort Lauderdale, Florida, area, the services of Tina Mehta, DO, FACOG, and Melissa Kushlak, DO, FACOG, at Elite OB/GYN can make a world of difference in managing endometriosis. To learn more about how this women-centered, women-run practice can help you live your best possible life, schedule an appointment online or over the phone today. Endometriosis occurs when the tissue normally lining your uterus, called endometrium, begins growing outside your uterus. That abnormal growth prompts inflammation, leading to pain and risk of adhesions and scar tissue. The displaced endometrial tissue continues to function in the same way as the normal endometrium. It thickens, degrades, and bleeds during your monthly menstrual cycle. Because the tissue is outside your uterus it has no way to exit your body. Endometriosis can be difficult to diagnose because symptoms are similar to other gynecologic conditions. In general, symptoms tend to worsen during your period, but some women experience pain no matter where they are in their menstrual cycle. Infertility is also a symptom, and some women only learn they have endometriosis after they seek fertility services. Dr. Kushlak and Dr. Mehta begin the diagnostic process with a pelvic exam. Ultrasound testing is used to create imaging of your reproductive organs and surrounding tissue, allowing your specialist to identify cysts or other abnormal growths. Laparoscopy can also help diagnose endometriosis. This procedure uses an incredibly slim medical instrument equipped with a light and camera to view the interior of your abdomen. It requires a very small incision, and also allows your specialist to gather tissue samples for lab testing. What can be done to treat endometriosis? Some women find relief through over-the-counter medications like nonsteroidal anti-inflammatory drugs (NSAIDs), naproxen sodium, or ibuprofen. Hormonal contraception can relieve symptoms by regulating your hormone levels. Other options include gonadotropin-releasing hormone agonists and antagonists, which block ovarian-stimulating hormones and prevent menstruation. It may be necessary to take estrogen at the same time to prevent menopause-like symptoms. Can surgery help treat endometriosis? In some cases, surgery is a good treatment option. When possible, conservative surgery removes only endometrial tissue, leaving your reproductive organs intact. This approach increases your chances of having a successful future pregnancy. In some instances, a hysterectomy is the best way to address endometriosis that hasn’t responded to other treatments. This involves surgically removing your uterus and ovaries. If you’d like to learn more about endometriosis diagnostics and treatment plans, book a visit at Elite OB/GYN today online or over the phone.